We bring in the superior quality Slitting Machines in the indian market. Being a leading Auto Slitting Machines Manufacturer in the industry, we designed them as per the exact specification provided by the clients. 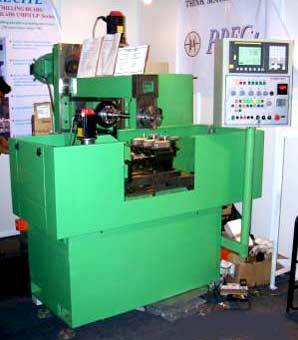 Additionally, when it comes to the major Hot Slitting Machine Manufacturers, we are counted among the best in industry. Machines built of using standard Precitec modular units. 3-Axis CNC Machine suitable for collet slitting multiple key ways milling or spline milling. X & Y slide movements and indexing are by using servomotors and their drives. All the 3-Axis CNC controlled. Variable spindle drive using inverted drive control AC motor.